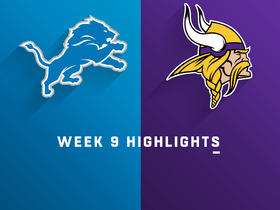 Johnson had five total tackles, 2.5 sacks and four QB hits in Sunday's win at Detroit. 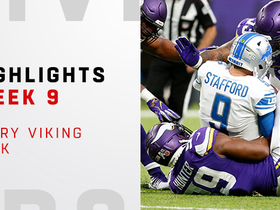 Analysis: Johnson hadn't recorded a sack before Sunday, but it looks like Minnesota's pass rush is finally clicking with Everson Griffen (1.5 sacks) back to his prior form in his second game back from taking time off for mental health issues. Johnson played 31 of the defense's 71 snaps, as he's among a rotation at defensive tackle. Analysis: Johnson was a limited participant last week and was inactive for last Thursday's loss to the Rams with the ankle issue. The 34-year-old should return to his rotational role on the Vikings defensive line for Sunday's game at Philadelphia. Johnson (ankle) is inactive for Thursday's game against the Rams. Analysis: Johnson's status is no surprise, considering that the lineman was unable to practice in full prior to Thursday. The reserve defensive tackle will work to get healthy in time for Week 5's matchup. Johnson (ankle) was limited in Wednesday's practice and is questionable for Thursday's game against the Rams, Cameron DaSilva of USA Today reports. 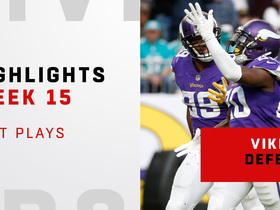 Analysis: Johnson, who re-signed with the Vikings after the Seahawks released him before Week 2, worked in a reserve role in Week 3 against the Bills and recorded two tackles. With the same usage expected against the Rams on Thursday, Johnson shouldn't be considered in IDP settings. Johnson was limited in Tuesday's practice with an ankle injury. Analysis: Johnson -- who signed with the Vikings on Sept. 18 -- seemingly injured his ankle during Sunday's contest against the Bills. It remains to be seen if he'll be ready to go Thursday night, though the fact he participated in practice in a limited capacity is at least somewhat encouraging for his status. The 34-year-old posted two tackles in Week 3. 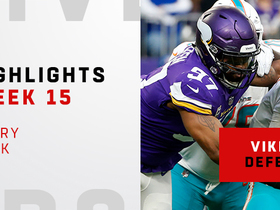 Johnson had a tackle for a loss and two total tackles in Sunday's loss to Buffalo. Analysis: Johnson played 22 snaps on defense just a few days after rejoining Minnesota. His playing time off the bench could increase later in the season. Johnson signed a one-year, $1.5 million contract with the Vikings on Tuesday, Tom Pelissero of NFL.com reports. Analysis: Johnson was released by the Seahawks last week, who had hoped to re-sign him. Minnesota swooped in and claimed Johnson, adding the veteran defensive tackle to an already-sturdy front seven. 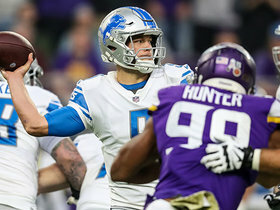 Johnson will serve as a backup to Linval Joseph, and could earn a rotational defensive role after learning the Vikings' playbook. Johnson will be released by the Seahawks on Saturday, Tom Pelissero reports. Analysis: Johnson's release is a surprising move by Seattle, given that the veteran defensive tackle's salary is already guaranteed. The Seahawks simply need the roster spot due to a slew of injuries, with Doug Baldwin (knee), D.J. Fulker (hamstring) and Shaquill Griffin (thigh) among players unlikely to suit up for Monday Night Football. 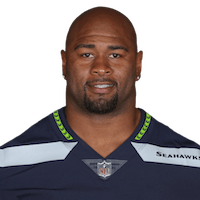 It's likely that Seattle will re-sign Johnson later in the season, but another team conceivably could lure away the defensive tackle, who is now a free agent. 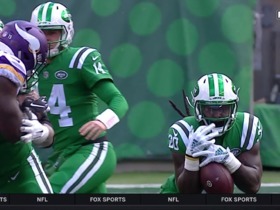 New York Jets running back Isaiah Crowell fumbles on bad snap, the Minnesota Vikings recover. 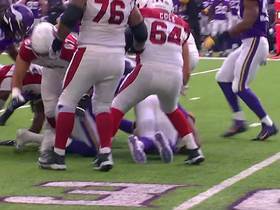 Arizona Cardinals running back David Johnson fumbles, and Minnesota Vikings defensive tackle Tom Johnson recovers the ball. 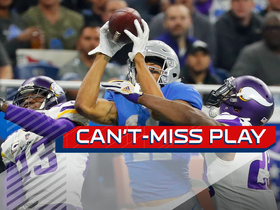 Detroit Lions wide receiver Marvin Jones proves double coverage isn't enough on this 43-yard touchdown pass. 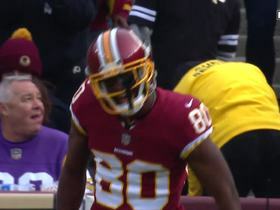 Washington Redskins quarterback Kirk Cousins finds wide receiver Jamison Crowder wide open in the middle of the field for 32 yards. 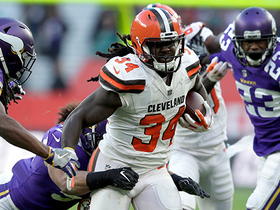 Cleveland Browns running back Isaiah Crowell goes for 38 yards vs. the Minnesota Vikings in Week 8 of the 2017 NFL season.